With more than 2 000 pre-designed network elements you can design own Network Topology of the simple LAN, WAN, etc. This network topology diagram sample is created using ConceptDraw DIAGRAM diagramming and vector drawing software enhanced with Active Directory Diagrams Solution from ConceptDraw Solution Park which provides examples, templates and 4 libraries of symbols for network topology diagrams. Use ConceptDraw DIAGRAM program with of Active Directory Diagrams Solution as tools to draw professional-looking network topology diagrams quickly and easily. 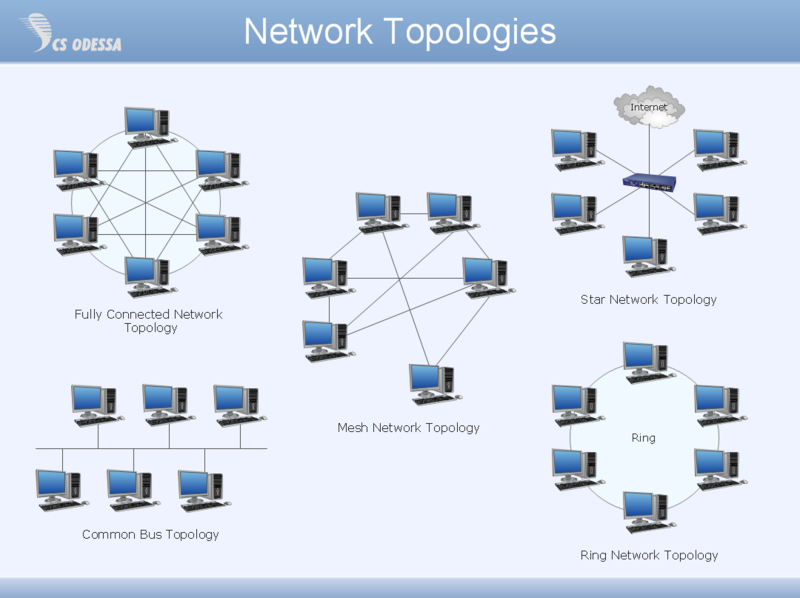 The network topology diagrams designed with ConceptDraw DIAGRAM are vector graphic documents and are available for reviewing, modifying, converting to a variety of formats (image, HTML, PDF file, MS PowerPoint Presentation, Adobe Flash or MS Visio), printing and send via e-mail in one moment.